If you have been arrested while out of jail on parole, it is essential that you seek knowledgeable legal counsel and representation as soon as possible. In the Bridgeport, Connecticut, area, people facing parole hearings after new charges have been made can turn with confidence to the Law Office of Tina Sypek D'Amato. To schedule a free initial consultation, contact Tina after a marijuana possession charge or whatever kind of charge has violated your parole. In many cases, a parole board will not give you a parole hearing until you have pled guilty on a new charge. An aggressive criminal lawyer, Tina Sypek D'Amato pursues all avenues to a favorable disposition at parole hearings -- including reduced sentences, supervised release from prison, or the most highly desired outcome of a dismissal of a hearing before it occurs. 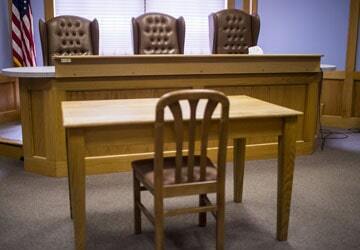 Often, a compelling argument in favor of dismissal of a parole hearing consists of a presentation of mitigating circumstances such as clinical depression. In the case of one client of the Law Office of Tina Sypek D'Amato, he was arrested for DUI after having gone to prison for assaulting a child. The parole hearing did take place, but through Tina's documentation of the man's severe depression, he was given an unconditional discharge, and was released a month later. Lawyer Tina Sypek D'Amato demonstrates genuine compassion for people who have become entangled in criminal acts or charges, and face criminal proceedings at Fairfield County criminal court or elsewhere. At the same time, she is determined to provide clients with all the protections the Constitution extends to accused citizens. Contact Tina Sypek D'Amato before a parole hearing in Fairfield County, New Haven County, Hartfold County, or Litchfield County.